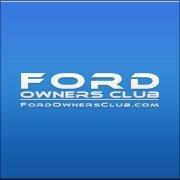 This is a collection of all our member's Classic Ford Albums. My Ford Orion 1,6 Ghia,1990. Hi all I thought I would post some photos of my double alternator pulley setup as I couldn't find any information online or photos when looking for advice. I purchased a 200amp Powermaster alternator, fitted it to the Limousine but we had constant belt slip. A serpentine belt system was my next option to try to avoid the belt slip but we decided to go with a powermaster double pulley.